If you’re looking for the perfect combi oven for your commercial kitchen, look no further. 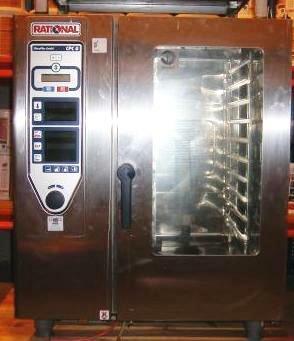 This top of the range combi oven from German manufacturer, Rational is in excellent condition and is available with a 3 months part and labour warranty. Ideal for busy catering operations, this popular model is reliable, simple to operate, and includes an automatic self-clean programme. With a cooking options including convection, steam, and a combination, this combi oven never fails to produce outstanding, uniform results each time.